Annella Tucker races around the pink barrels at Lewiston Roundup tryouts. 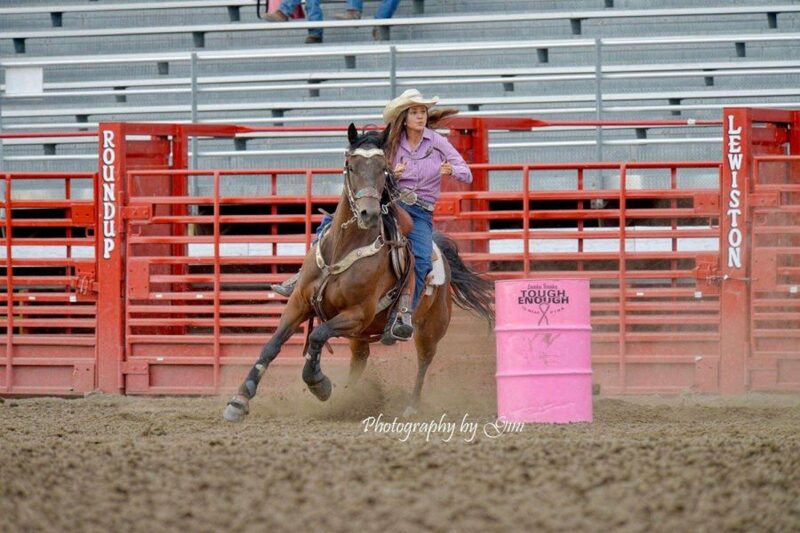 Annella Tucker, LHS junior, races around the Lewiston Roundup barrels Sept. 8 at the Lewiston rodeo grounds. “I normally compete in rodeos outside of town so it’s nice to have a hometown crowd,” said Tucker. She has been competing in rodeos since seventh grade and plans to continue on with her rodeo career.